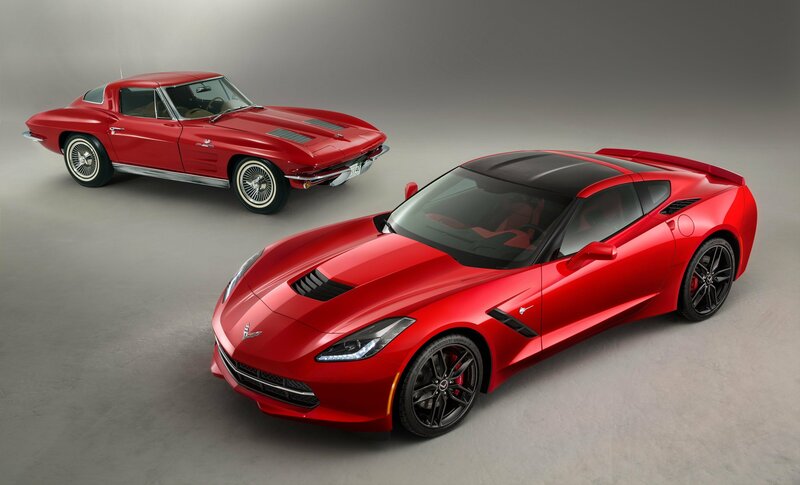 You gotta love a classic ‘Vette – the looks, the sound, the smell… it’s pure nostalgia stuff. 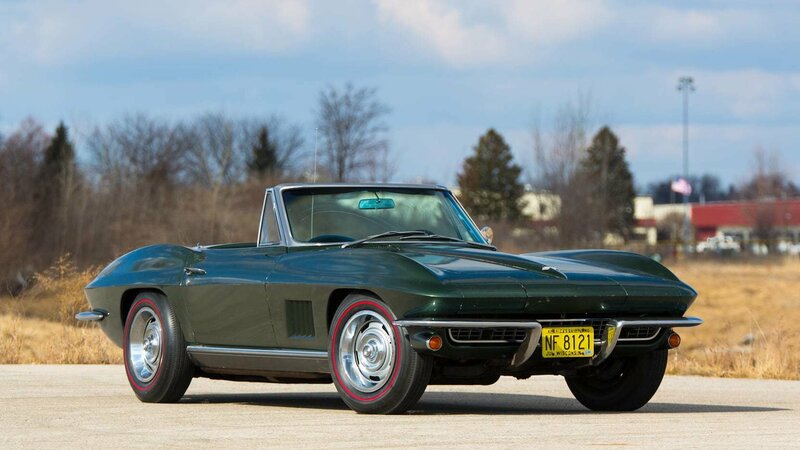 This particular Corvette Sting Ray Convertible takes it even further, bringing some very American provenance to the table as the vehicle originally given to Bart Starr for winning the MVP award at Super Bowl I. These days, there’s so much emphasis on Nurburgring lap times that it seems we hear about a new record, or a new attempt, at least once a week. There’s no doubt the Chevy was doing its best to make a best lap at the famous track after it was spotted there not that long ago. 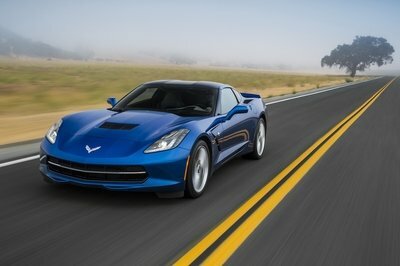 But, Chevy has more than a lap record in mind when it comes to the most powerful production Vette yet. Chevy drug the ZR1 all the way to Germany to put it through the paces at ATP Automotive Testing Papenburg, one of the largest proving grounds in the world and one that has miles upon miles of straight track looped together with banked curves at the end – the perfect recipe for top speed runs. To make a qualifying run, a vehicle has to make two passes on the track, one in each direction (against and with the wind, naturally.) Once both runs are complete, the times are averaged out to establish a “true top speed.” As it turns out, that ZR1 is everything we hoped it would be, hitting 214.88 mph on one run and 210.20 on another. The true top speed? 212.20 mph. Not too bad at all, right? Well, check out the video of this awesome run below and let us know what you think! This year’s Geneva International Motor Show was chock-full of debuts, both amazing, and terrible, but it also offered plenty of weirdness as well. 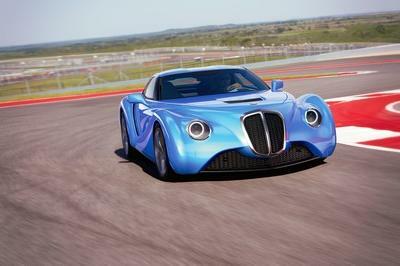 Case in point – the Eadon Green Zeclat, a British-born, French-inspired sports car with all-American underpinnings. So what exactly is going on here? Continue reading to learn more about the Eadon Green Zeclat. 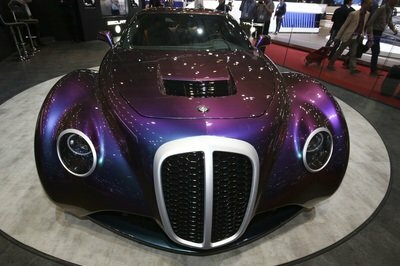 Eadon Green is a high-end boutique custom carmaker based out of the U.K. 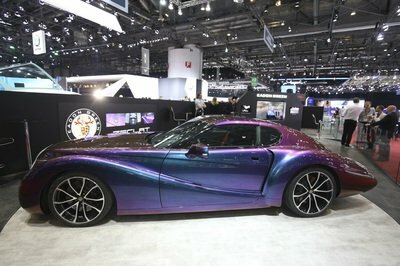 Although it has a relatively short history attached to its resume, the company jumped onto the world stage just last year with the debut of the Black Cuillin at the Geneva International Motor Show. declared it as a one-off that would never see full-time production, disappointing well-heeled buyers looking to add the stylish two-door to their collection. Luckily, there’s a new model on the table. It’s called the Zeclat, and this time around, it’s a whole lot faster. Not only that, but you might even be able to buy one, if you’ve got the bank to back it. However, before we get into the performance side of things, lets delve into what makes this thing truly special – the styling. Like the Black Cuillin, the Zeclat receives one very unusual old-school aesthetic, with a wide, low stance, long, curving fender lines, and an extended, pointed tail. For those well versed in automotive history, the look should conjure one word – elegance. That’s because the Zeclat was inspired by the great French coach builders of the ‘30s, with Eadon Green acknowledging names like Figoni & Falaschi, Bugatti, Chapron, and PourTout as major influences in the final design. You could call it Art Deco if you like, something similar to the likes of the Morgan Aero 8. Even the paint job is a bit out there. The example you see pictured here is draped in a hue dubbed “petrol,” with a shimmering glint that shades between blue and purple depending on the angle and the lighting. Eadon Green is offering six different wheel designs to buyers, each of which is wrapped in Michelin pilot Super Sport run-flat summer tires. Winter tires are also offered, while custom wheel designs are available upon request. Moving into the cabin, the Zeclat is replete in high-end features. Both heating and cooling features are offered for the seats, with carbon fiber, piano-black lacquer, and polished aluminum making the materials. Upholstery colors include a variety of standard hues, but buyers can get theirs in a custom color if desired. Apple CarPlay and Android Auto are included in the infotainment spec. While the styling and interior options might suggest the easy cruising nature of an old-time classic, the Zeclat is actually very, very fast. 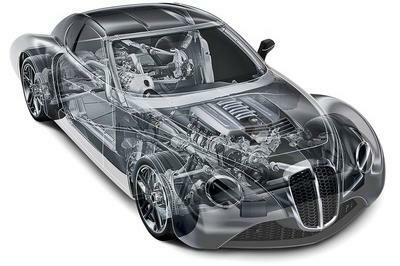 The body is made from lightweight carbon fiber, and comes punctuated by a variety of vents and cooling elements for the engine, brakes, and transmission. It’ll even make some usable downforce at speed, and the company reports it intends on putting the Zeclat into the wind tunnel for some proper aero tweaks in the future. Under the long, flat hood line lies a 6.2-liter V-8 pumping out a whomping 460 horsepower and 465 pound-feet of torque, all of which arrives free of any kind of power adder. Yep, ditch the turbos and superchargers and hybrid systems on this one – it’s all atmosphere. 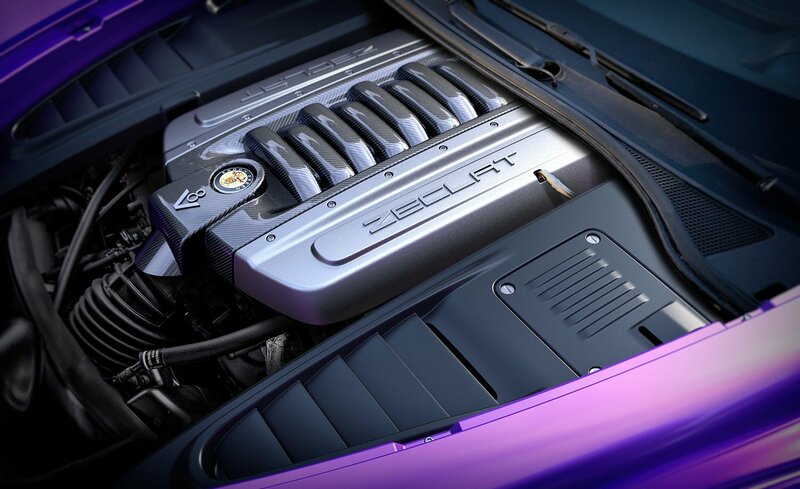 Properly motivated, the Zeclat will rage up to 60 mph in a mere 3.6 seconds. If you’re not in the mood for rage, you could also simply cruise, and the active fuel management system will deactivate four of the cylinders for extra mpg. Routing the output to the rear is an eight-speed automatic gearbox. There’s also a seven-speed manual transmission with active rev matching and automatic throttle blips as a no-cost option. The bones of the machine consist of an aluminum frame and carbon-nano-composite panels, which, in conjunction with the unique packaging of the transaxle, give the Zeclat a near 50/50 front-to-back weight distribution. Helping it corner is Magnetic Selective Suspension Control as standard, with short/long arm aluminum double wishbones in the corners. A dry-sump lubrication system keeps the engine purring even when slinging through the corners. Throwing the anchor are standard steel brakes from Brembo, with 14.6-inch rotors in front and 14.4-inch rotors in the rear. The calipers are finished in black as standard, but you can also get them in a red, blue, or yellow finish for a little extra outlay. Eadon Green is also offering custom colors, if desired. The optional performance package tosses in new suspension pieces and upgraded brakes, with 15.5-inch carbon ceramic discs in front and 15.3-inch carbon discs in the rear. Multiple drive modes help to dial in the experience, ranging between Sport mode for spirited driving, and Tour mode for a more relaxed demeanor. There are five driving modes total, each of which performs adjustments to the steering, throttle response, and electronic traction control. 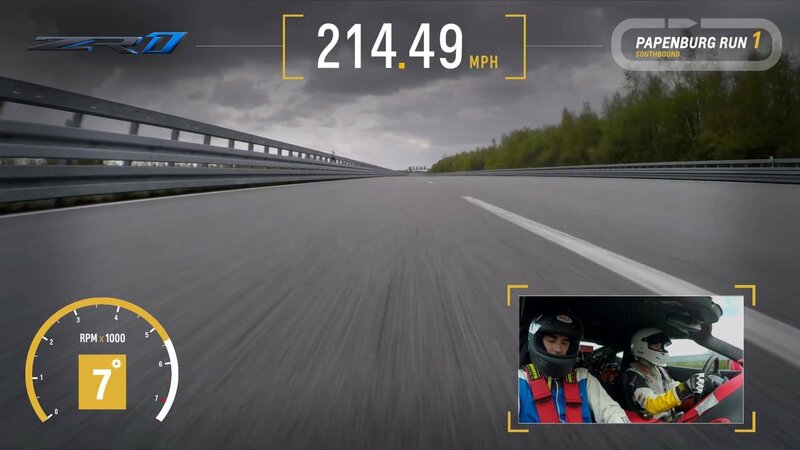 Final touches include live data recording if you want to head to the track, as well as a heads-up display and digital readout that measures the cornering forces. If all that sounds a little familiar, well, it should. You see, the Eadon Green Zeclat bases its interior spec, infotainment gear, and oily bits on the Chevrolet C7 Corvette Grand Sport. The 6.2-liter under the hood is the highly celebrated Chevrolet LT1, while that cabin layout is obviously all-‘Vette, plus some nicer materials. According to an interview with Road & Track, Eadon Green founder Felix Eaton says the company could make as many as 25 units annually for the Zeclat. If all 25 are indeed snatched up, pricing would be set at around 550,000 pounds ($776,127 at current exchange rates, 03/22/2018), although it could jump to 1,000,000 pounds ($1,411,140 at current exchange rates) if production is limited to just five units total. Read our full review on the 2017 Chevrolet Corvette Grand Sport. The beast in the metal, and now you can have it on your desktop too! Read our full review of the 2019 Chevy Corvette ZR1 or check out the gallery below for more awesome wallpaper options! 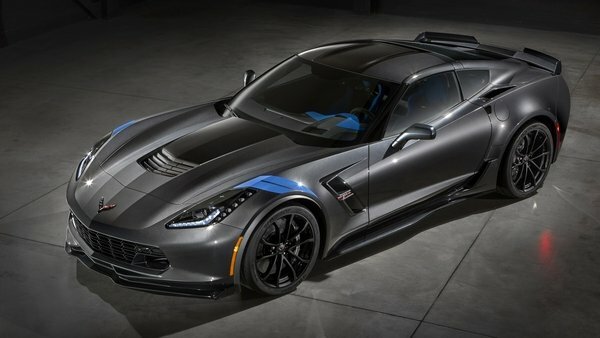 Chevy just released its new Corvette ZR1, and the spec sheet is just this side of insane. All told, this thing is the fastest, most powerful production Corvette ever created, with a thumping supercharged V-8 under the hood, advanced adaptive suspension components and tuning, and more wing than an international airport. All good stuff, no doubt, but what happens when you take off the roof? 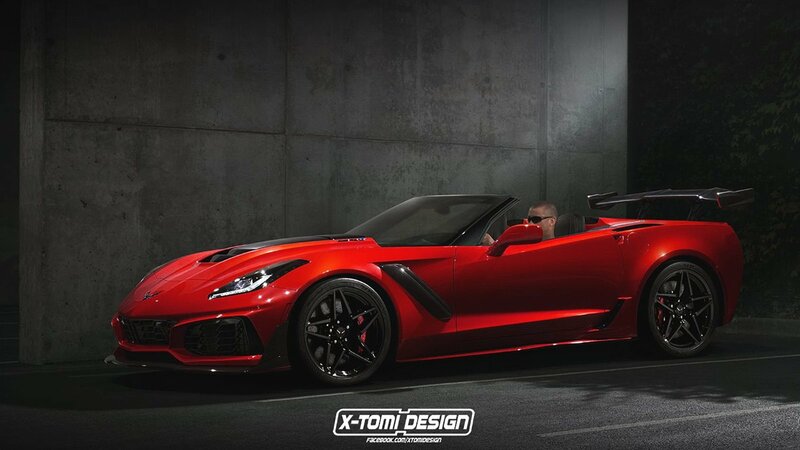 To find out, X-Tomi Design put together a rendering, and long story short, we approve. The ZR1 convertible bears the same upgraded front fascia as its hardtop sibling, with aggressive, angular front intakes, a large splitter, and a taller hood to accommodate the bigger blower underneath. The wheels, fender vents, and enormous rear wing are also a carryover. Up top, though, you’ll notice the expanded headroom. If we’ve got your attention, then you’re in luck, because word has it a factory-made ZR1 convertible will break cover soon, possibly alongside the coupe version later this month at the Los Angeles Auto Show. Read on for the details. 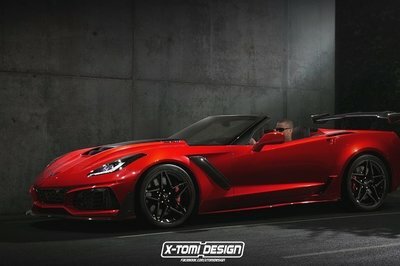 Continue reading to learn more about the 2019 Corvette ZR1 Convertible by X-Tomi Design. While overall we like the rendering, we can’t help but point out that it looks a little silly with that carbon fiber monstrosity hanging off the tail – indeed, cutting the roof off the ZR1 would do a good job in screwing up its formidable aerodynamics package. Chevy says the coupe makes close to 1,000 pounds of extra stick at speed, a vital feature when considering the ZR1’s 210-mph top speed. So what effect would a convertible have on performance? Luckily, recent spy shots seem to reveal that the factory convertible will get a few tweaks, including a less aggressive wing in back. The rest of it should be identical to the hardtop version, with as much as 755 horsepower and 715 pound-feet of torque on tap from a boosted 6.2-liter V-8. Magnetic ride suspension and a seven-speed manual transmission round it out, although we’re guessing convertible lovers will instead go for the optional eight-speed automatic gearbox. The real question is how the roofless ZR1 will hang on the track. The aero will likely be much less effective, and with no top, the car’s torsional rigidity will take a nosedive, affecting how it corners as a result. Basically, it’ll be pretty sloppy, especially with all that tire that’s stuffed in the corners. Chevy’s engineers might counter this with additional bracing in the flanks, but that’ll inevitably increase the car’s curb weight, once again hampering performance. Either way, we’ll keep an eye out for any further developments. What do you think? 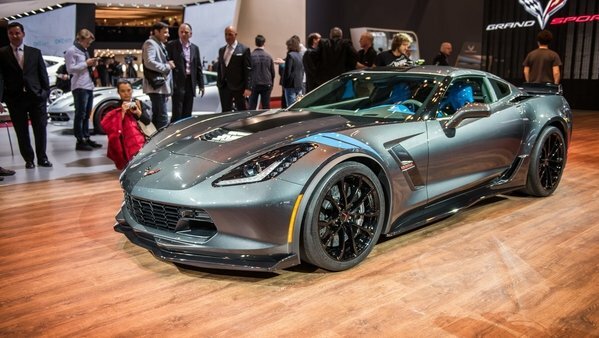 Does a ZR1 convertible make sense to you, or does it neuter this latest ultimate ‘Vette? Let us know in the comments! 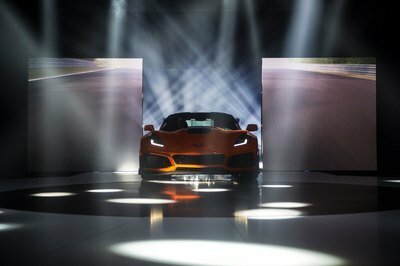 Word around the ‘Net is that Chevy will reveal its highly anticipated, track-focused iteration of the C7 Corvette, the ZR1, at an upcoming private event in Dubai on Sunday, November 12th. 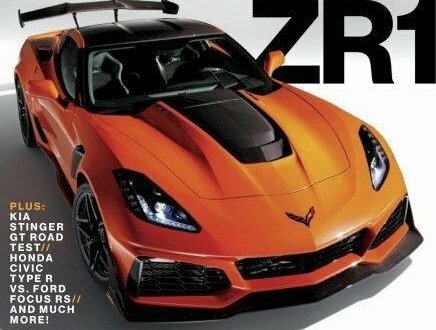 The rumor comes courtesy of the Bow Ties devotees over at CorvetteBlogger, who posted what appears to be a leaked image of the December issue of Car & Driver portraying one very orange and aggressive-looking ‘Vette parked under the ZR1 banner. 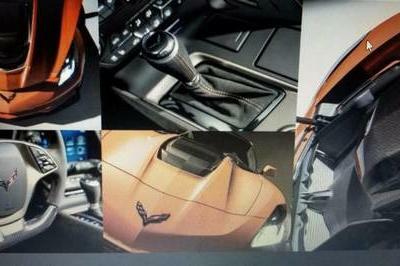 The image is supported by further detail images taken from the magazine article itself, which appear to show the ZR1’s shifter, engine, and steering wheel, while a post made a day prior shows an invite to a special event in Dubai this weekend, apparently provided by a Middle East-based Corvette owner. It’s assumed that the ZR1 will land stateside later this month at the Los Angeles Auto Show to wow domestic journalists, with a predicted production launch for spring of 2018. And yeah, Dubai does seem like a somewhat unusual place to reveal the red, white, and blue sports car, but as CorvetteBlogger points out, Chevy still managed to garner plenty of attention when it dropped the Corvette Grand Sport at the Geneva Motor Show, and with the L.A. show scheduled to kick off in a few weeks from now, the ZR1 should still get plenty of attention. Either way, stay tuned as we look for further developments. 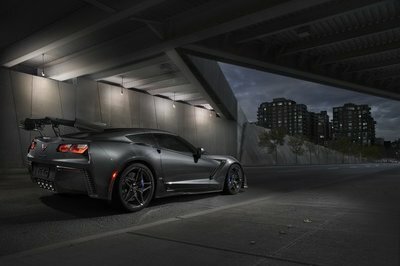 While a few U.S. enthusiasts out there might be miffed about a Dubai reveal for the ZR1, it makes a lot of sense for Chevy. After all, it’s no secret that the U.A.E. metropolis is a hot spot for high horsepower and superlative performance – just check out their police forcefor evidence of that. With that in mind, the ZR1 should fit right in. Details are obviously still forthcoming, but word has it the apex-hunter will get new exterior styling and bigger aero, plus as much as 750 horsepower under the hood. It was originally believed that Chevy’s tried-and-true supercharged 6.2-liter V-8 would be making the go, but with this latest batch of rumors, it’s now believed the ZR1 will be rocking a new DOHC LT5 instead. Read our full speculative review on the 2018 Chevrolet Corvette ZR1. It’s been a few months since we’ve seen the upcoming Corvette ZR1 out testing, with the last outing taking place on the Nurburgring in mid-April. The trail has since gone cold, but all that changed earlier this week when it was caught filling up with that sweet liquid gold we call gasoline. Even better yet, the prototype that was spotted is also half naked, giving us the best look at the coupe so far. 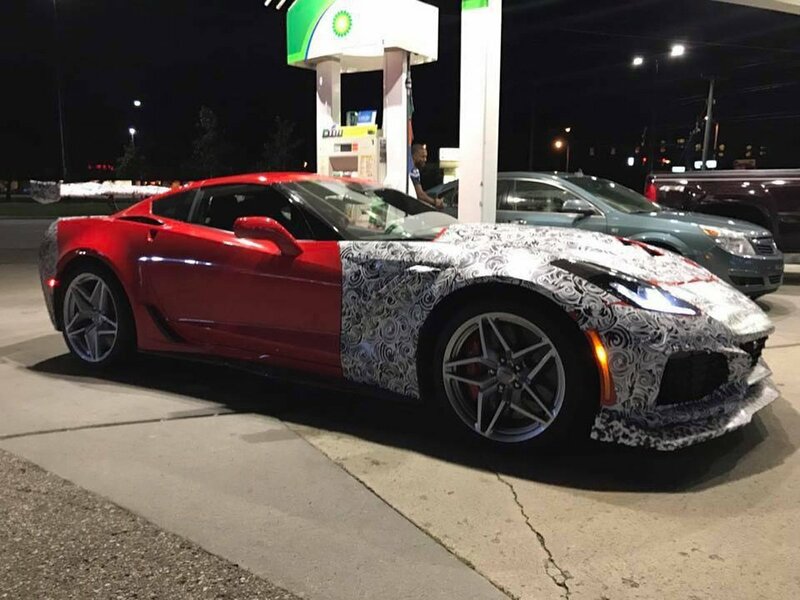 Naturally, the entire front end and a small portion of the rear is still wrapped in the psychedelic camo that we all love to hate, but the lack of camo in the middle shows us that the ZR1 will, indeed, have the same rear quarters, roof, and doors found on the Stingray, Z06, and Grand Sport. So far, there’s not a lot we know about the ZR1. It’s pretty much certain that the V-8 under the hood will be force fed, but whether or not that happens via a supercharger or a pair of twin turbos is still up in the air. We’re also not sure what it will deliver in terms of power, but with the Z06 cranking out some 650 ponies and the last-gen ZR1 making 638 ponies, we’re expecting no less than 700 horsepower out of the gate if not a little more. It should be able to tackle the 60-mph sprint in less than three seconds and will top out at more than 200 mph if you’ve got the balls to push it that hard. 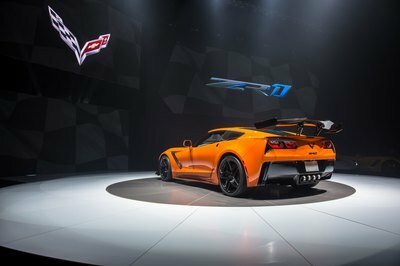 And, it’s about time that a C7-gen ZR1 makes its debut – the typical wait time for the ZR1 trim is about three to four years after the generation was introduced and 2018 will be the fourth year for the C7. So, we should be looking at a mid-2018 model or 2019 model at the latest. What can we spot in these new spy shots? Well, I’m glad you asked. Let’s take a better look real quick. 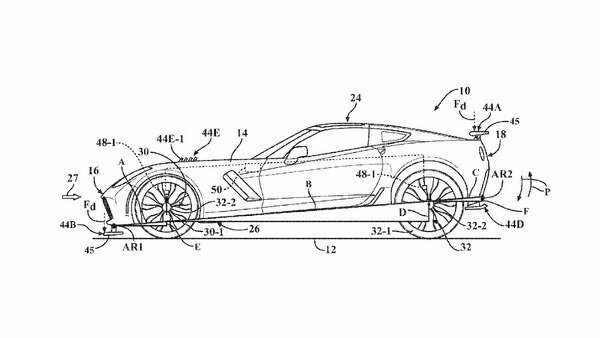 Will The Chevy Corvette get an Active Aero System in the Near Future? If you’ve been paying attention lately, you know that the Lamborghini Huracan Performante made that amazing, record-setting lap time at the Nurburgring. You should also know that it was able to complete that lap thanks to an active aero system that is known as “Aerodinamica Lamborghini Attiva,” a system that allows the car to remain a little loose in the straightaways while achieving maximum downforce when cornering. Well, Lambo is the only brand that has been working hard on active aero systems as Chevy has also been hard at work, and according to a patent that was published on March 23, 2017, the Corvette could be the first in line to get the GM designed, active aero system. So what does this active aero system consist of? Well, keep reading to learn more about it. General Motors is putting its money to good use by infusing another $290 million into its production facility in Bowling Green, Kentucky, otherwise known Corvette plant. The move is seen as GM’s way of improving the technologies in the facility and improving existing processes, all to create a more efficient production framework for the Corvette. It’s still unclear how General Motors plans to divvy up the large investment within the facility, but it is reported the assembly line is going to get a sizeable share of the funds as GM seeks to improve production beginning this summer. A significant portion of the funds, $153 million in total, is also being made available to the Kentucky Business Incentive, a program that encourages businesses from different industries to move to Kentucky or, in cases of those that are already planted in the state, to remain there. It’s not uncommon for General Motors to loosen the purse strings to help add improvements into its Bowling Green facility. Back in May 2015, the automotive giant invested $439 million in facility upgrades, including the plant’s paint shop. As part of that investment, improvements were made to allow robots to use paint more efficiently, LED lighting to improve inspections, less energy-intensive baking ovens, and technology to eliminate sludge water, among other things. The combined sum of $729 million in investments is part of the automaker’s three-year, $5.4-billion plant upgrades that it announced in 2015. All this maneuvering is tied into GM’s desire to invest as much as it can to ensure that the Chevrolet Corvette remains competitive against a growing number of rivals in the U.S. and foreign markets. It’s hard to argue against GM’s methods here, especially when you consider the increasingly competitive sports car segment in a lot of the world’s biggest markets. 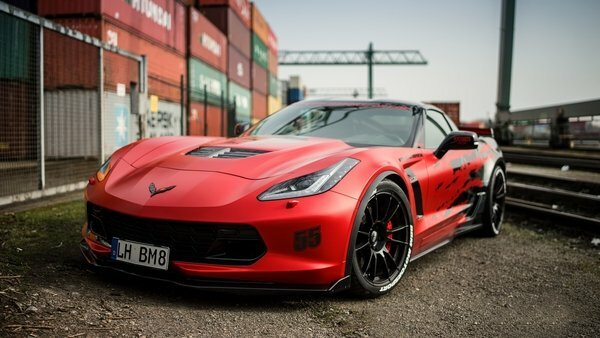 The Chevrolet Corvette Z06 really needs no introduction. As a souped up version of the Vette, the Z06 handles better and spits out more power than its standard counterpart. Oh, and it looks more aggressive too, thanks in part to a conscious effort from Corvette to make the car stand out. Mission accomplished, right? Well, it depends on who you ask, because a certain German tuner named BBM Motorsport clearly doesn’t think Chevy did as much to the Corvette Z06 as it could have. That’s why the aftermarket company took it upon itself to do the job, dressing up the American sports car with a new aero kit to go along with modifications to the engine, exhaust, and wheels. The program itself doesn’t transform the Z06 into an all-conquering monster, but it does enough to change the way a prospective customer might look at it. Considering how popular the Z06 is, programs like this, even if it doesn’t do an overhaul, could be the difference that makes the Z06 stand out. I personally think the high-powered Vette is awesome enough on its own, but I certainly won’t dismiss a tuner if it wants to make it more faster and more powerful. If you’re someone who thought the C7 Corvette would look cool as a shooting brake, then boy do I have some good news for you. 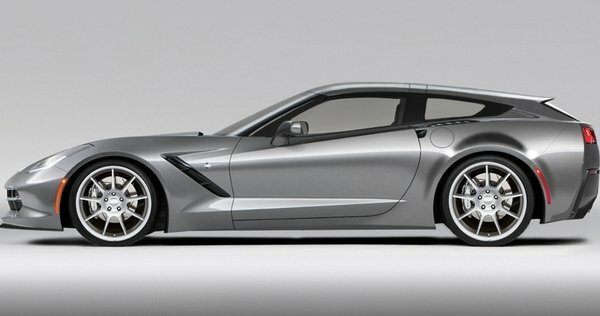 Callaway Cars has just announced a new shooting brake conversion kit for the C7 Corvette Coupe. I know what you might be thinking, but this isn’t a late April Fool’s joke. It is real, and Callaway is already taking orders with delivery and installation available in the last quarter of this year. The conversion kit replaces the current hatch on the Corvette Coupe and functions in the same way, meaning it can be lifted to access the rear interior just like the stock hatch. Installation is said to be easily, and the whole process can also be reversed to install the original hatch with ease. The conversion kit is a one-piece unit that is made from carbon fiber and is delivered in a natural carbon fiber finish. Optional body coloring is available, so it can also be painted to match your current stock body color. As you can see from the images, it gives the C7 Corvette a whole new look in the rear, and it’s quite sporty if you ask me. It should be noted, that because of the Corvettes overall design, it is impossible to add rear seats. So, if you were hoping to cram a couple of seats back there, you’re out of luck. Callaway has yet to release details as to how much cargo room will increase with the AeroWagen shooting brake hatch, but it did say that the increase will be “significant.” Performance specs for the C7 with the AeroWagen hatch have yet to be released as well, but Callaway predicts a “slight reduction in overall drag coefficient.” If you’re interested in the conversion kit, you can contact Callaway Cars at their website, or at 1-866-927-9400. Concerned about Ford’s racing program and what it was doing with the Shelby Cobra, Chevrolet’s Zora Duntov launched the Grand Sport program in 1962. The plan was to build lightweight, race car around the second-generation Corvette and use it for international grand touring events. The project was kept secret from GM executives, who thought that Chevy shouldn’t go racing, and was stopped as soon as rumors about Duntov’s brainchild started to spread. Fortunately, Zora managed to complete five cars, giving the world some of the most coveted and valuable Corvettes ever built. 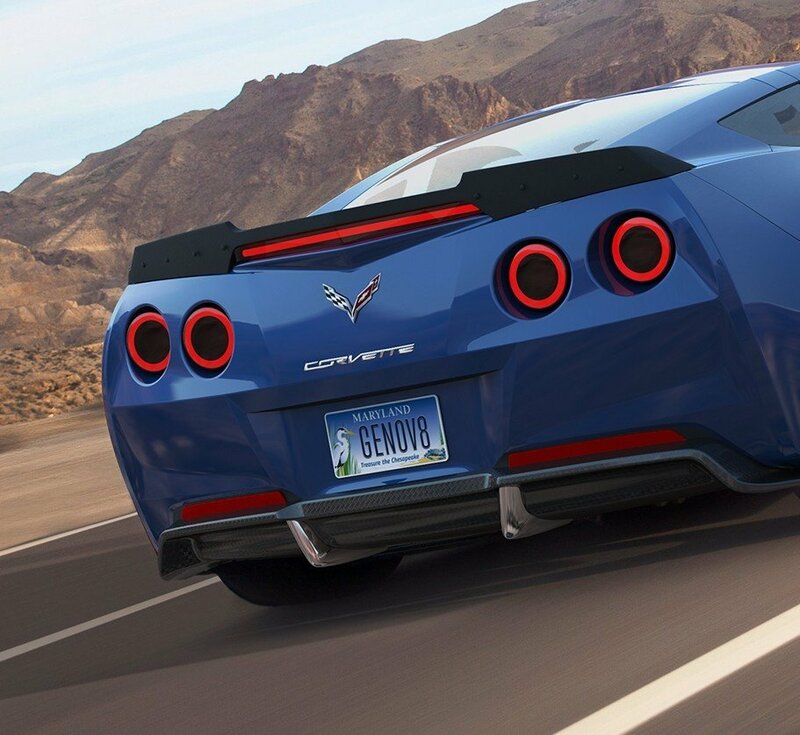 More than five decades have passed since then and the Grand Sport nameplate returns on the seventh-generation Corvette. Rumored ever since the current Vette was unveiled in 2013, the C7 Grand Sport broke cover at the 2016 Geneva Auto Show. 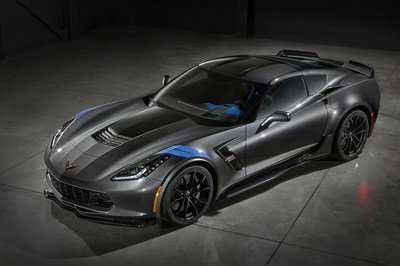 Pretty much a Z06 with a naturally aspirated engine under the hood, the new Grand Sport is aimed at purists that know power isn’t everything. Is it a coincidence that the C7 Grand Sport was revealed at the same event that brought us the Porsche 911 R? Most likely, but this is probably the beginning of a beautiful rivalry that should spawn many battles on the road and at the track. 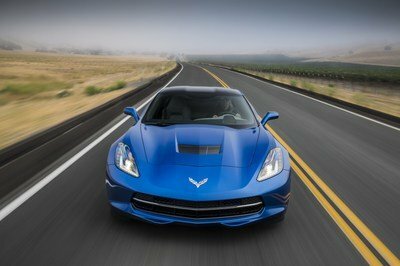 The C7 Grand Sport is actually the fourth generation to wear the iconic badge. After Duntov’s program was cancelled, the nameplate returned in 1996 as final edition of the C4. 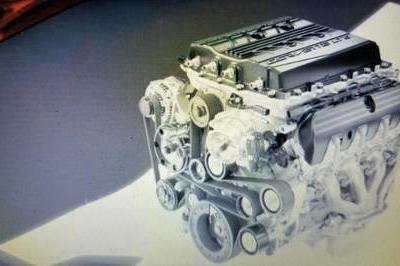 The third model arrive in 2010 as an LS3-equipped, C6 Z06 with a steel frame instead of aluminum. 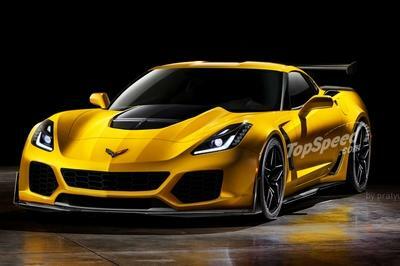 Is this new version of the C7 worthy of Grand Sport name? Keep reading to find out. Updated 04/29/2016: Chevrolet dropped prices for the 2017 Corvette Grand Sport which will be put on sale later this summer. Check the “Prices” section for more details. Continue reading to learn more about the 2017 Chevrolet Corvette Grand Sport.